Bakery business is highly competitive but gives high profits too. Bakery logos play a key role in the growth of businesses. A well-crafted logo draws potential customers’ attention and conveys a brand message. Your small bakery shop can benefit a lot from its uniquely created logo. Bakery logos should be fun-filled and fanciful visuals. These logos intend to capture people’s liking and taste for bakery products. 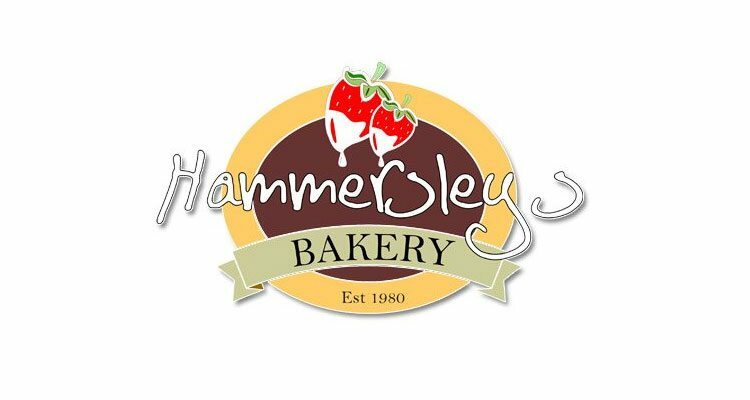 The success of a bakery logo is in conveying a message instantly at a glance to viewers. Typical images and symbols used for bakery logos usually include baked cakes. Such images are used to evoke some hunger for these tempting delicacies. When talking of bakery logo, a look at bakery industry will be useful. There are more than 3,000 independent bakeries in the U.S., generating an annual revenue of $ 30 million. The country has more than 6,000 retail bakeries that generate around $6 billion revenue additionally. If you are a logo designer, a look at some inspirational bakery logos will be helpful. Such well-designed logos stimulate your creative mind to come out with some unique design concepts. 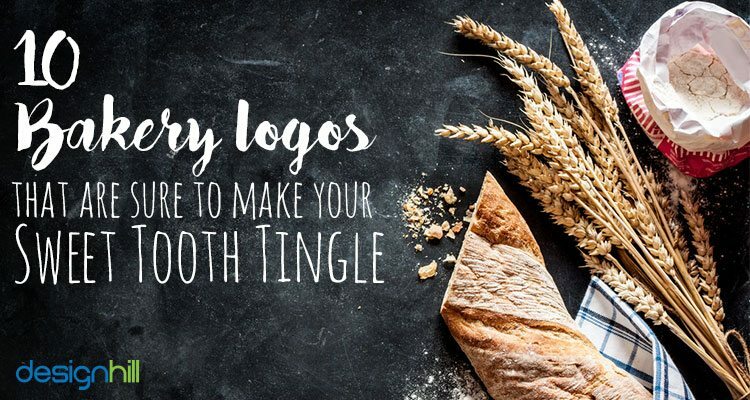 Considering that, we have assembled here top 10 bakery logos that will motivate you to create such amazing logos for your clients. 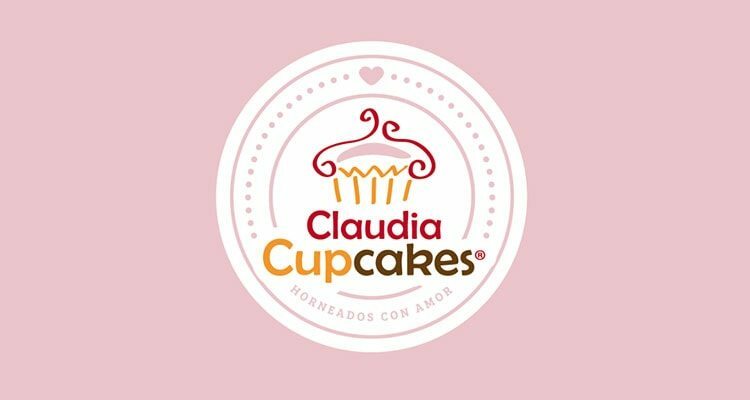 First in our list is the beautiful bakery logo of Claudia’s Cupcake! 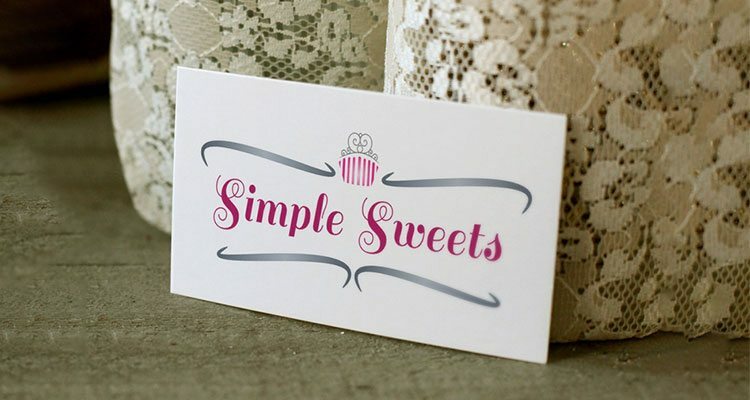 This really innovative logo has been designed with the intention to tickle your sweet tooth! The designer used only two colors to keep the logo design simple. There is one handwritten lettering to create some environment of joy and happiness. The word ‘cupcake’ is in formal typeface to give an impression of professional approach of conducting the business. Next in the line is the exquisite Hammer Sleys logo! This amazing logo looks leaves no stones unturned to give a mouth watering illustrations of juices dripping from the strawberries! There is a good use of hand-written lettering as a symbol of happiness and joy. This is the way to use typeface perfectly in a business logo design. Chocolate color in the middle conveys brand message of the bakery shop and touches our sense of smell. Classical ribbon design at the bottom of the logo reinforces the message that it is an old and trusted bakery business. 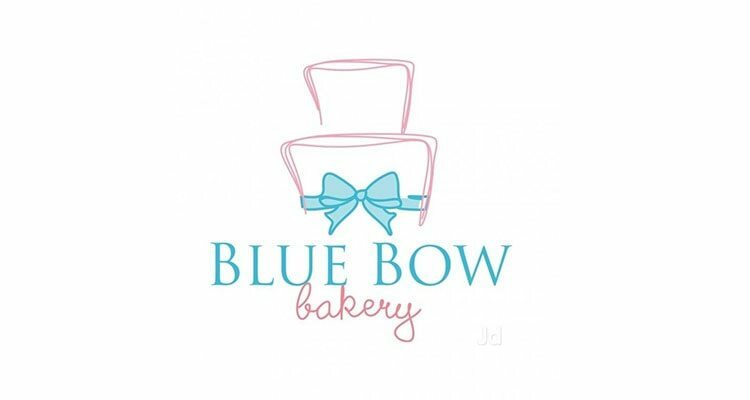 The simple, subtle and interesting logo of Blue Bow Bakery looks so yummy that it is difficult for anyone to resist the temptation of sinking your teeth in their specialities. Only two colors and a handwritten typeface makes this logo design unique and memorable. A perfect combination of such design elements is essential in creating a well-designed logo. 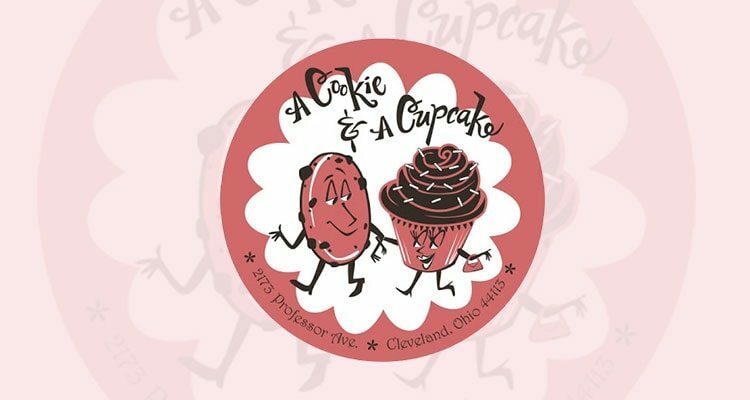 Quite like the simple yet unique name, A Cookie and a Cupcake’s logo is simple and unique. The simple idea that a cookie and a cake go hand in hand is unique. 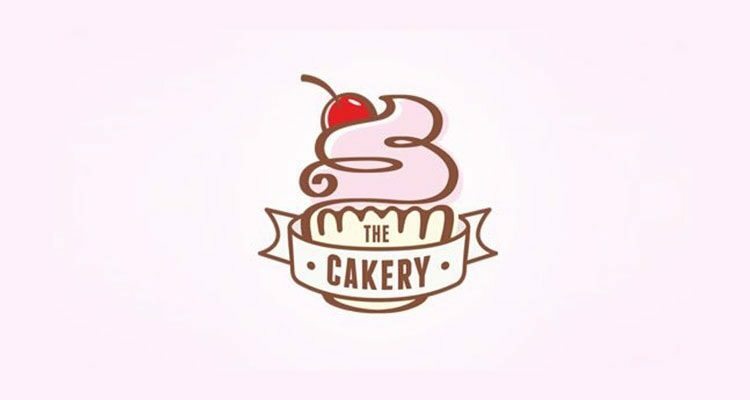 Use of chocolaty and pink colors is common for bakery logo designs. These are the perfect color choices for bakery logos. You can also notice the use of handwritten typography to express joy and happiness associated with a party mood. There is no big use of typography in this logo. But, this is a memorable logo because of its unique drawing of the the ice cream and cherry plus the use of ribbon element. This helps in winning the customers by evoking their feeling of trustworthiness. 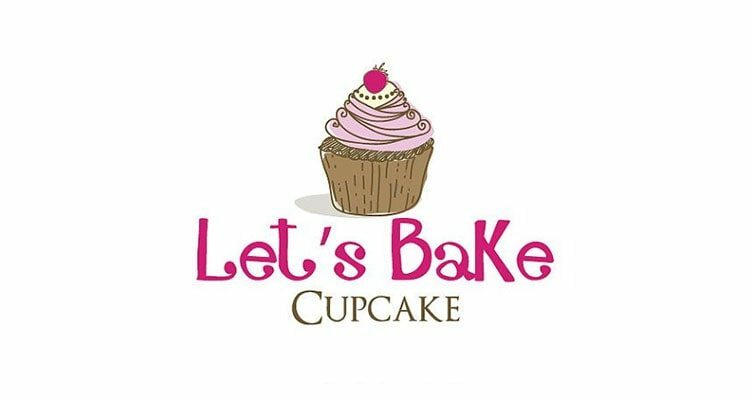 This alluring ‘Let’s Bake CUPCAKE’ logo is interestingly talking about the sweet delicacies served at the popular bakery. This stylish logo never fails to inspire and impress the onlookers. This logo is an excellent example of simplicity of design, which is one of the key tips to creating efficient business logos. 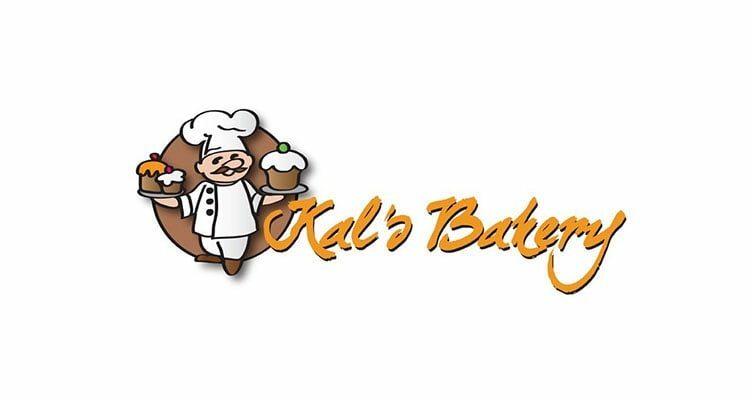 Kal’s Bakery’s logo uses a conventional chef figure holding different varieties of cakes and pastries. Though chef figure is somewhat cliched, still it is a pretty good logo because it impresses with its use of light yellow colors of handwritten font. 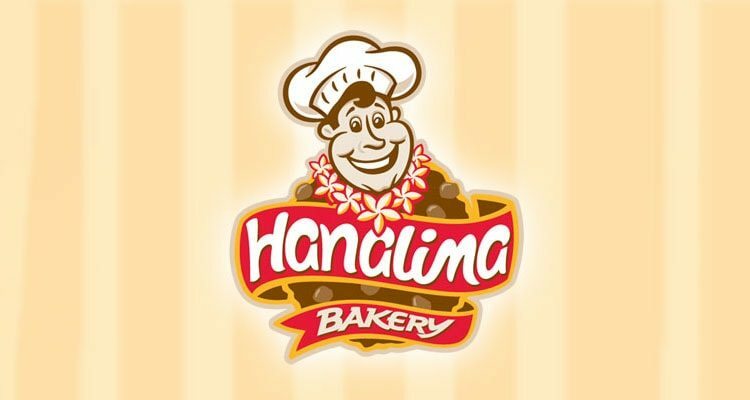 Hanalima Bakery logo is of an Hawaiian bakery. And, you can tell that from the flower garland the chef is happily wearing. The designer uses the garland as an identity of the logo and also of the island. Red color represents passion and warmth of the hawaiian people. If you are a bakery business owner, you will need a graphic designer as your partner to create new logos, business cards, and many other design items to promote your business. Your business has to come out with new marketing plans using many graphic design items. You can depend on crowdsourcing site Designhill to meet your entire requirements of a range of graphic designs. This is a leading marketplace where hundreds of professional logo designers will submit their unique logo concept in response to your design contest. 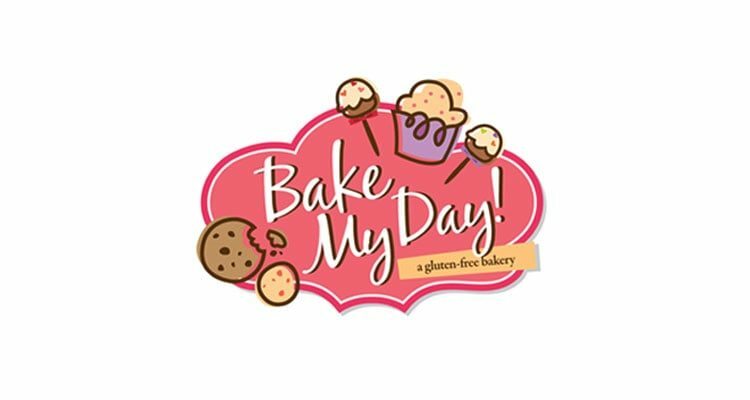 Bake My Day logo evokes the feelings of celebration by drawing the cake, biscuit and ice cream figures apart from each others. Pink and yellowish colors used here stand for passion and casual environment of parties. 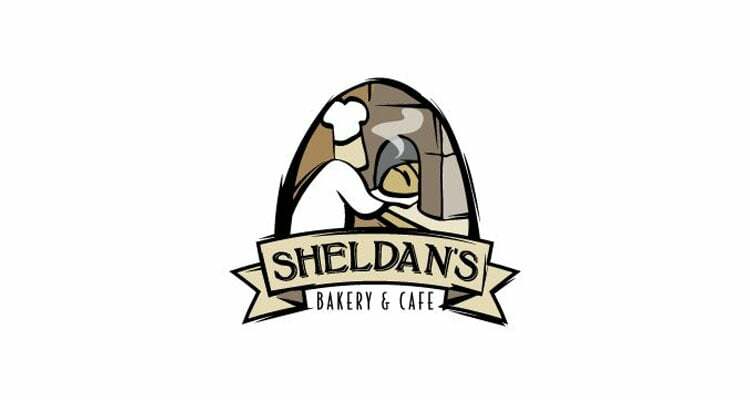 Interestingly sober yet creative logo design of Sheldan’s Bakery and Cafe delivers a natural lip-smacking and hunger driven appeal. No wonder, this fanciful logo never fails to tickle pink the hunger pangs of foodies! The colors in this logos are not bright as this is a cafe shop also. You can notice that the designer has given the logo a color of cocoa. The baking chef and the freshness symbol of rising smoke stands for the bakery business. The client, a home baker, needed a logo for their business. They had no idea as to how the logo should look and as such left it to the creativity of the designers. True to their belief, several designers came up with many creative logo design. The winning design was simple and sweet just like the name of the shop. The font and the color used made the logo look elegant and eye-catching. 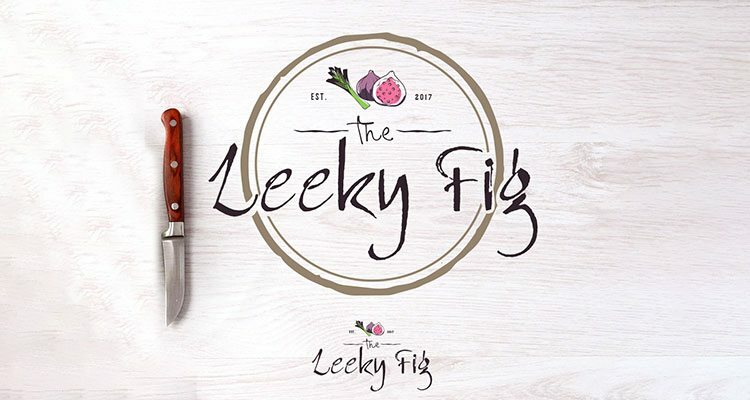 The owners at ‘The Leeky Fig’ wanted a logo design for their artisanal bakery specializing in old-world whole grain breads, hand crafted pastries, and fine European style cakes. The logo designed conveyed warmth and coziness. The placement of fig, leek, knife all were in a perfect place to give a classic appearance to the logo. The icing on the cake was the font used to write the bakery store name. Bakery logos such as these are memorable design. These logos have a strategic use of bright colors and handwritten typeface to create an environment of joy, happiness, and celebration. Simplicity is the key design elements common in all of these impressive logos.